Jeremejevite one of the rarest and most expensive gemstones, named after Pavel Vladimirovitch Jeremejev (1830-1899), Russian mineralogist and engineer. Jeremejevite is a gemological rarity and hardly ever encountered by the public in the market. Reports issued in the gemological literature to date have focused more on faceted examples, with only brief accounts of rough material being available to collectors and gemologists. Star sapphire, also known as "star" in the trade. 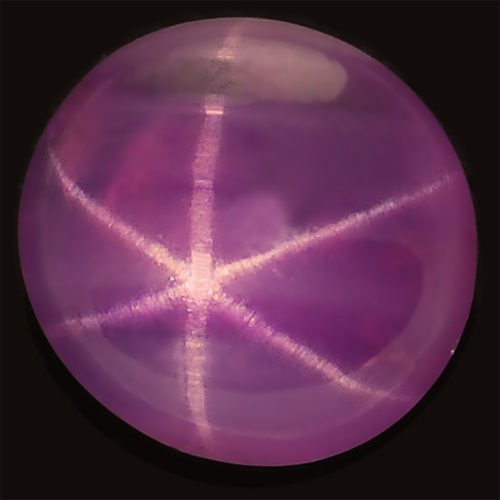 Cabochon-cut star sapphire gemstones characteristically shows a six-rayed star. Although stars can occur in a range of colors many stars are grayish or dark and the supply of fine stones is always limited. This natural star sapphire features strong asterism phenomena, when fibrous inclusions align on all of the crystal axes, the cat'seye effect can appear in two or three directions at once. Bastnasite, which is sometimes spelled as bastnaesite, is one of a few rare earth carbonate minerals and change color as well. Bastnasite gets its name from its type locality, Bastnas Mine, Riddarhyttan, Vastmanland, Sweden. Bastnasite gets its name from its type locality, Bastnas Mine, Riddarhyttan, Vastmanland, Sweden. Although a scarce mineral and never in great concentrations, it is wide spread and one of the more common rare earth carbonates. Bastnasite has been found in karst bauxite deposits in Hungary, Greece and the Balkans. Also found in carbonatites, a rare carbonate igneous intrusive rock, at Fen, Norway; Bayan Obo, Mongolia; Kangankunde, Malawi; Kizilcaoren, Turkey and Mountain Pass, California, USA. At Mountain Pass, bastnasite is the leading ore mineral. Some bastnasite has been found in the unusual granites of the langesundsfjord area, Norway; Kola Peninsula; Mont Saint-Hilaire mines, Ontario Canada and Thor Lake deposits, Northwest Territories, Canada. Hydrothermal sources have also been reported. Musgravite is an extremely rare member of the taaffeite family that was discovered in 1967 in the Musgrave Range of South Australia. 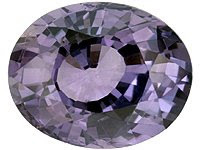 Facet grade musgravite like pictured 5.93ct oval from from Tunduru, Tanzania -- was not reported reported until 1993 and as of 2005, there were only eight musgravite specimens, three of which were identified by Murray Burford, a Canadian gemologist. The mineral was has since turned up in Greenland, Madagascar, Antarctica, Sri Lanka, and Tanzania. Because of its similarity to taaffeite it is probable that some gemstones originally thought by their owners to be taaffeites, are actually musgravites. Indeed, our own investigations of taaffeites from Tunduru, Tanzania, have confirmed a 10 – 15% incidence of stones originally indentified as taaffeites to actually be musgravite. The only known facet quality specimens of musgravite are from Sri Lanka and Tanzania. 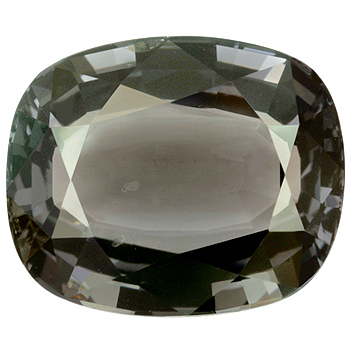 Musgravite is primarily sought as a collector gemstone. 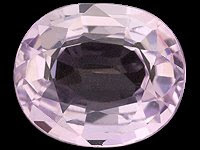 Taaffeite is one of the rarest and most desirable of collector's stones. Only a very few stones have been found, most of them originally misidentified as spinel. However, because of the geological connection between the deposits in Sri Lanka, Madagascar, and East Africa, we expect to find the stones in Madagascar as well. Poudretteite is an extremely rare mineral that few gemologists have ever seen or even heard of. It was first discovered in Mont St. Hilaire, Quebec, Canada, during the mid 1960s. Only seven crystals were unearthed but they were not recognized and registered as a new species until 1986. The mineral is named after the Poudrette family who operated a quarry in the Mont St. Hilaire area where the first specimens were discovered. The only other reported source for poudretteite is in the Mogok region of the Shan state in northern Myanmar, and pictured 3.46cts fancy shape poudretteite from Myanmar is trully a rare find. Sharp mineral dealer discovers extremely rare mineral specimen being used as a paper weight at the Tucson show. While exploring some remote corner of the Tucson Gem and Mineral Show, Denver based gemstone and mineral dealer Morgan Sonsthagen came across an attractive bright pinkish-orange rock being used as a paper weight. Thinking it was a rhodochrosite he asked the dealer, "how much for that rock on the pile of papers"? The seller claimed that he couldn't sell the rock because it was holding down all of his papers. After a short negotiation, Morgan volunteered to find the guy a new rock for his pile of papers and they agreed on a price for the orange rock. That 150 gram rock turned out to be triplite, an extremely rare mineral found sparingly at a few localities throughout the world. 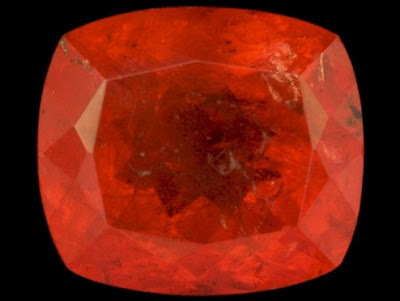 Morgan suspects that the material is the same as the material from Guilin, China, incorrectly identified as triploidite in Gems and Gemology (summer 2006). Apparently, the only other gem quality pieces come from Pakistan near Dassu and most of those are somewhat brownish in color. Very few if any other triplites are available in the bright orangey colors of Morgan's material and nearly every other triplite deposit only produces grainy granular opaque material. The rough was processed in Bangkok by Warren Weise at his Thonburi factory. 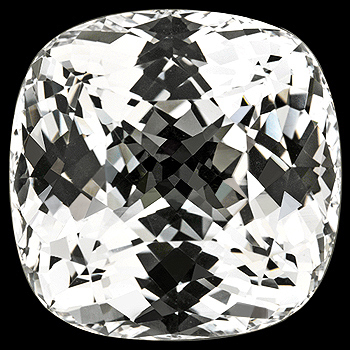 In addition to some smaller stones, two large gems were recovered; a 21.29 ct. pear shape and an 11.05ct. round. Some of the stones were tested at the AIGS gem lab by Dr. Laurent Massi and some of the rough was donated to the RRUFF University of Arizona Mineralogical project for further analysis. Triplite is a rare fluoro-hydroxide phosphate mineral that forms in phosphate rich granitic pegmatites and high temperature hydrothermal veins. With formula (Mn,Fe2+)2(PO4)(F,OH), calcium and magnesium commonly substitute in the divalent cation site. 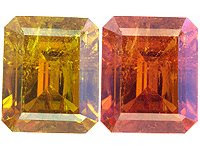 In color and appearance, triplite can be very similar to rhodocrosite, another manganese bearing mineral and it is most likely the high concentration of manganese that is responsible for the bright peachy color. Chemically, triplite is also quite similar to triploidite the difference being that triplite is F dominant while triploidite is OH dominant. 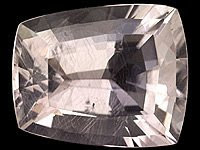 Triplite was first described in 1813 for an occurrence in Chanteloube, Limousin, France. The name is derived from the Greek triplos for triple, in reference to the three cleavage directions. Other occurrences include the Shigar Valley, Pakistan; China; Bavaria, Germany; Kimito, Finland; Karibib, Namibia; and Maine, Connecticut, Arizona and Colorado in the United States. Triplite is quite rare and difficult to facet do to its brittleness and cleavage. Only a few cut stones have been reported and all of them are from the Shigar Valley in Pakistan. One specimen from Dudley Blauwet was loaned to the GIA for examination. General absorption to 450nm, weak absorption bands at 470nm and 490nm, and a stronger band at 520 - 620nm were observed with a desk model spectroscope. Microscopic inspection revealed finger print type and two phase inclusions. What is the rarest gemstone?